Someone in my house has been looking forward to St. Patrick's Day for months, simply because green is his favorite color. 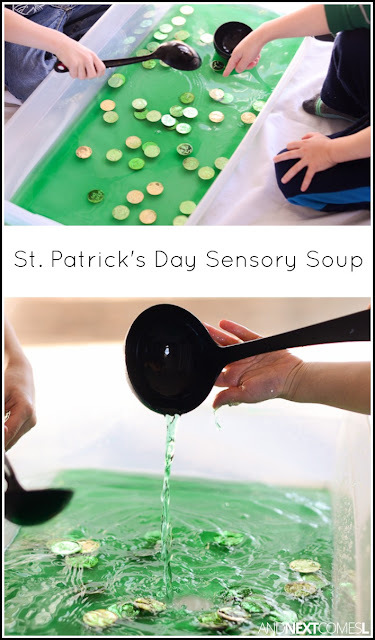 So I knew that six year old J would love this St. Patrick's Day fine motor sensory bin. And water sensory bins are always a hit with both of my boys. 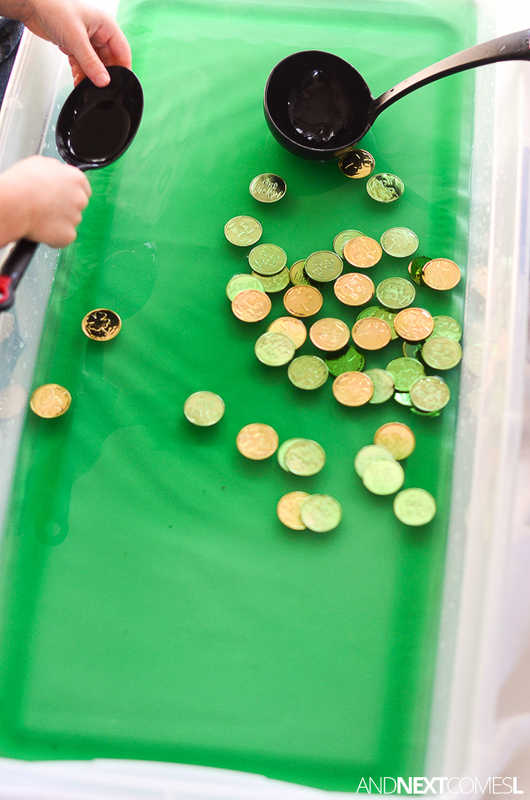 So it was no surprise that both J and K loved scooping and pouring the coins in this sensory bin. Kitchen utensils - I always add a whisk, ladle, large spoon, and a plastic bowl, but other things such as measuring spoons and measuring cups can be added. Just use whatever you have on hand! 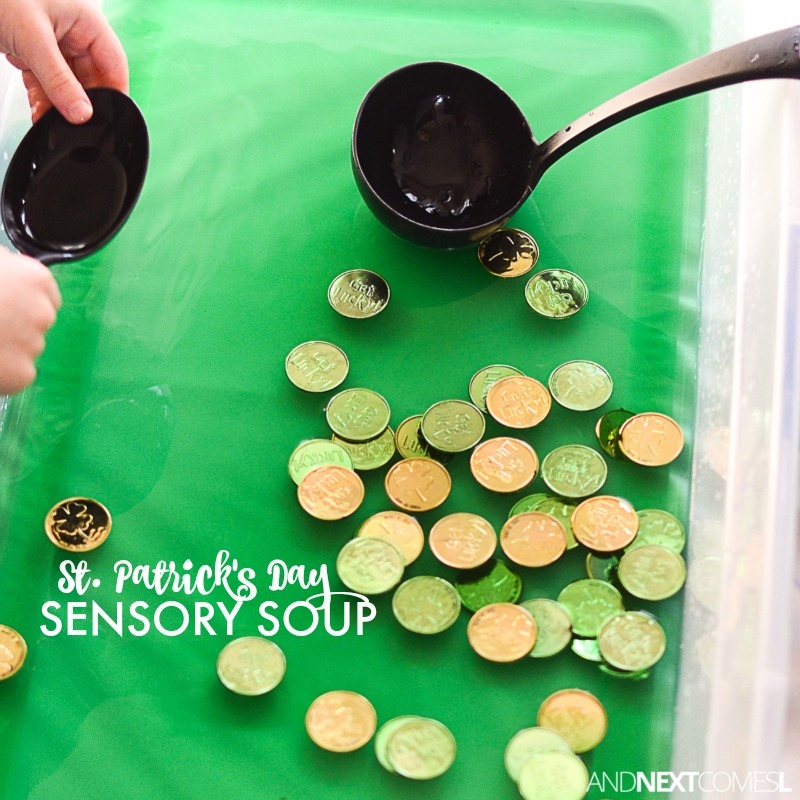 One of the reasons that I love these sensory soups is that you simply dump the materials in a bin and that's it. No fancy set up required! 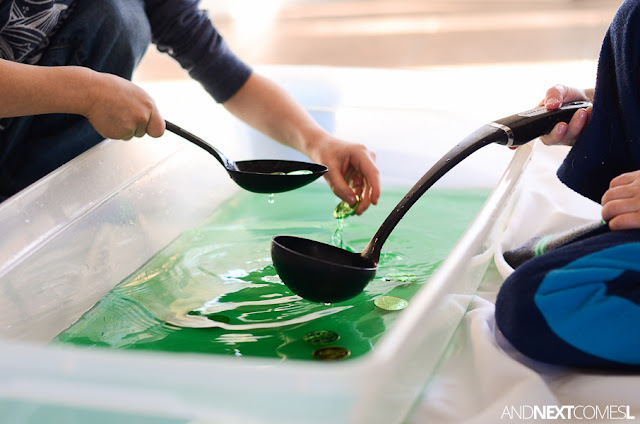 So add a generous amount of green liquid watercolor to the water and mix until it's the color you desire. 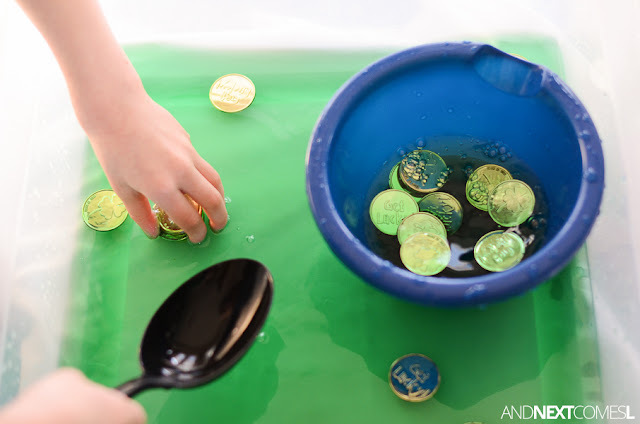 Then add the coins. That's it! 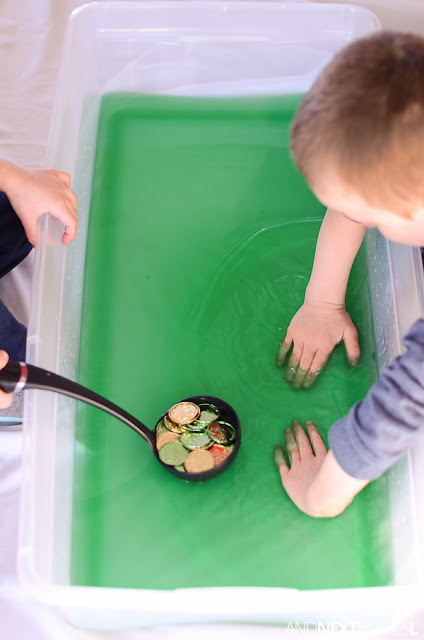 By providing a variety of spoons to scoop, pour, and stir, the kids get lots of opportunities to work on their fine motor skills. The addition of a bowl is great for exploring mathematical concepts like measurement, volume, and estimation. It also allows for imaginary play. My boys always love to cook up fancy soups or cookies or cakes with these sensory soup ideas. 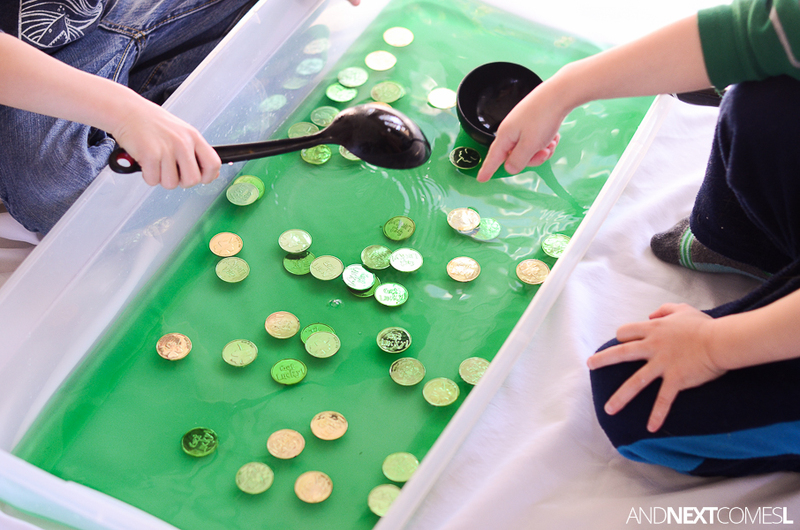 They will often narrate a recipe and its steps like "Add one scoop of coins and stir."